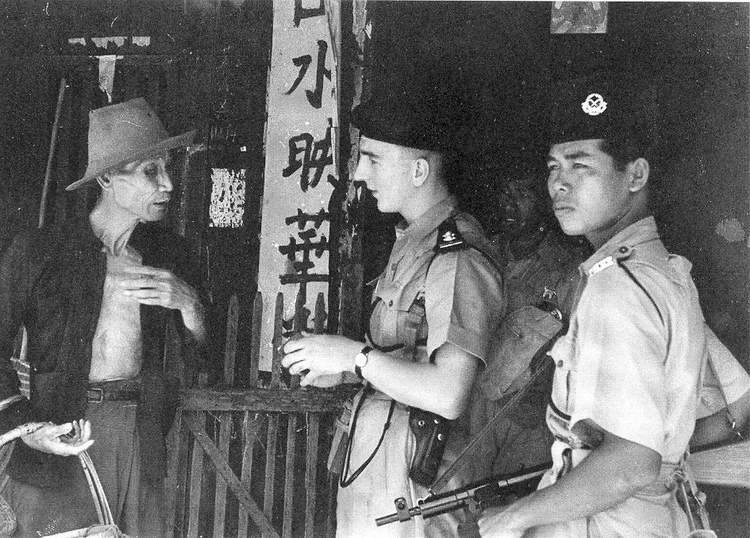 In December 1940 colonial police forces in Malaya arrested two strike leaders on suspicion of being communists. Police shot at 500 striking workers who were marching on the police station to protest the arrest, killing three workers and injuring more. §10. Mr. Mathers asked the Under secretary of State for the Colonies whether he is aware that the rioting last year on the Ladang Geddes rubber estate of the Dunlop Rubber Company, in the Malay State of Negri Sembilan, in which shooting by the police caused the death of three workers and injuries to others, was due to a refusal of the rubber company to increase wages to meet the increasing cost of living; and whether, in view of the recent loss of life amongst workers on a rubber estate in Selangor, he will call for an immediate report upon economic conditions in the rubber plantations in Malaya, and indicate Government policy thereon? §Mr. George Hall As the reply is necessarily long and contains much detail, I will, with my hon. Friend's permission, circulate it in the OFFICIAL REPORT. I may, however, add here that, as I stated in my reply to the hon. Member for West Leyton (Mr. Sorensen), on 18th June, my Noble Friend has arranged for his Labour Adviser, Major Orde Browne, to visit Malaya in the near future, and the High Commissioner telegraphed that he proposes to discuss generally with him labour problems in Malaya in the rubber growing and other industries. §Mr. Mathers Without going into details, may I ask my hon. Friend what the trade union position is? He has informed us that there is a trade union ordinance in operation. Is trade union bargaining a properly recognised feature in Malaya? §Mr. Hall Yes, Sir. A trade union ordinance is in operation, and the bargaining strength of the trade unions depends upon the strength of the trade unions. §Mr. Creech Jones Is not peaceful picketing prohibited under the ordinance, and is there not room for a considerable overhaul of the trade union organisation? §Mr. Hall It is true that in some of the ordinances—I cannot, without notice, say whether it is the case in regard to this one—picketing is prohibited, but that does not prevent negotiation and bargaining such as suggested by my hon. Friend. §Mr. Sorensen Is my hon. Friend now in a position to say when the report of this inquiry is likely to reach this country? §Mr. Hall It is impossible to say. The Labour Adviser has left, or is about to leave, for Mauritius. We are hoping he will spend some time there, and we want a very thorough report on conditions there. We shall have to wait until Major Orde Brown is in a position to let us have his report. § In November last the Government Protector of Chinese noticed signs of discontent among the Chinese labourers on this estate and notified the manager who, on 21st December, of his own initiative offered an increase of 2 cents on daily task rates plus a bonus on poundage with effect from 16th December. The labourers refused this offer and at their request the Protector of Chinese met their representatives on the estate when they demanded an immediate increase of 35 cents on daily task rates, viz., from 85 cents to 1 dollar 30 cents. In discussion they reduced the demand to 1 dollar 10 cents, but threatened to cease work if this was not granted. The manager considered the request unreasonable and the strike began on 23rd December. On 27th December the strikers at a further discussion refused the appeal of the Protector of Chinese to return to work pending proper discussion of wages, but it was eventually agreed that they should take their wages and leave the estate. They accordingly went on 29th December to a nearby village where some 900 established an organised camp. Intimidation had been practised to compel workers to join the exodus from the estate, and in the camp a Defence Corps was organized, while goods were levied from shops and subscriptions collected in the village. Workers were not allowed to leave the village without permission and men on bicycles were sent into the district, threatening physical violence to labourers continuing at work. § It was discovered that two of the leaders were agents of a local union which had been organized by the Malayan Communist party, and that they were being assisted by adherents of the Chinese puppet government at Nanking. On 31st December the police arrested one of these leaders and one member of the Defence Corps, but were attacked on the way to the police station by 500 Chinese armed with sticks, bricks, stones and bottles. The officer in charge of the police was himself knocked down and again hit as he was getting up. After repeated attempts to persuade the rioters to disperse and an ineffective charge by the police, the order was given to fire, one Chinese being killed and two subsequently dying of their wounds. At the time of the firing the rioters had increased to probably 1,500, and the police numbered 85, not all of whom were armed. The finding of the magistrate was that the police were overwhelmed to such an extent that the action they took was necessary. My hon. Friend will appreciate that the riot was thus caused not by the refusal of the rubber company to increase wages, but by an attempt to rescue an arrested political agitator. On the evening of the riot at least 400 of the labourers returned to work, and by 2nd January practically all the labourers concerned had also returned. The High Commissioner has reported the average daily earnings in this district to be more than double those at the beginning of the war and the increase in the cost of living to be less than 50 per cent. On 31st December the police arrested one of these leaders and one member of the Defence Corps, but were attacked on the way to the police station by 500 Chinese armed with sticks, bricks, stones and bottles.